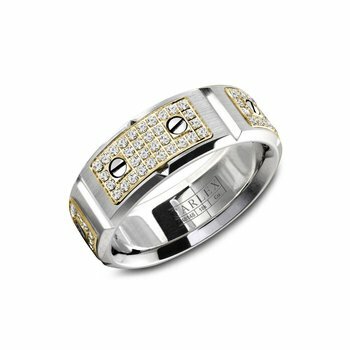 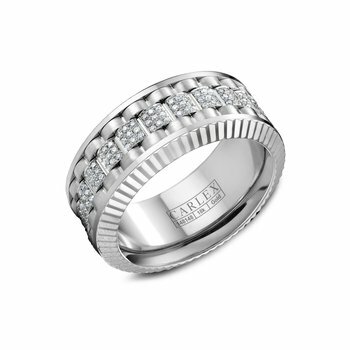 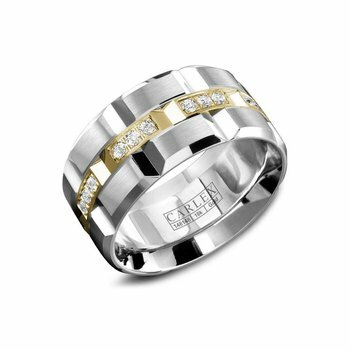 18K yellow and white gold three row ring with brilliant cut diamonds. 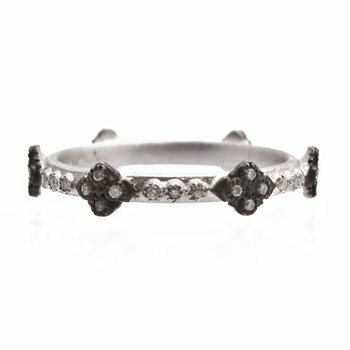 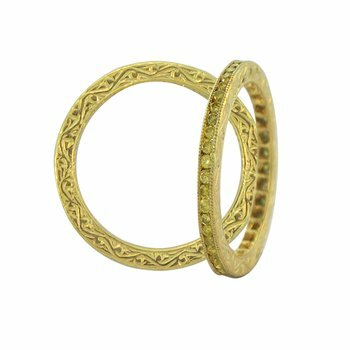 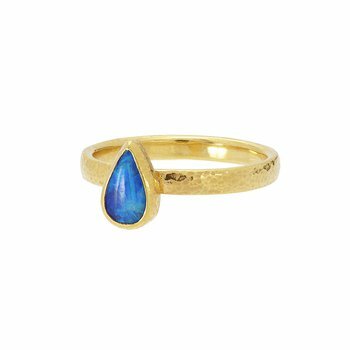 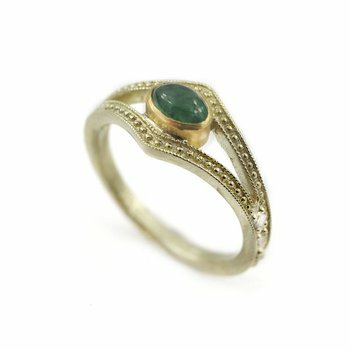 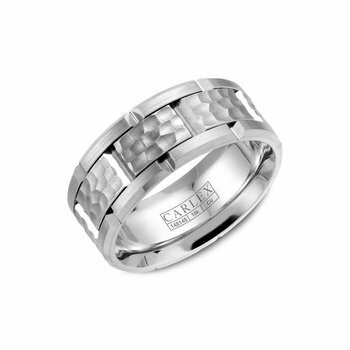 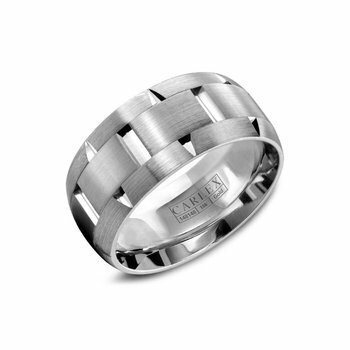 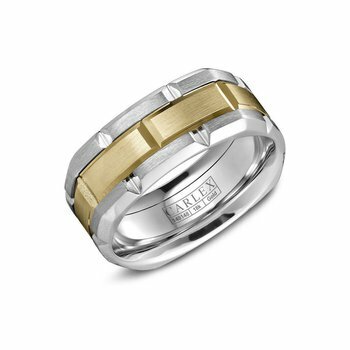 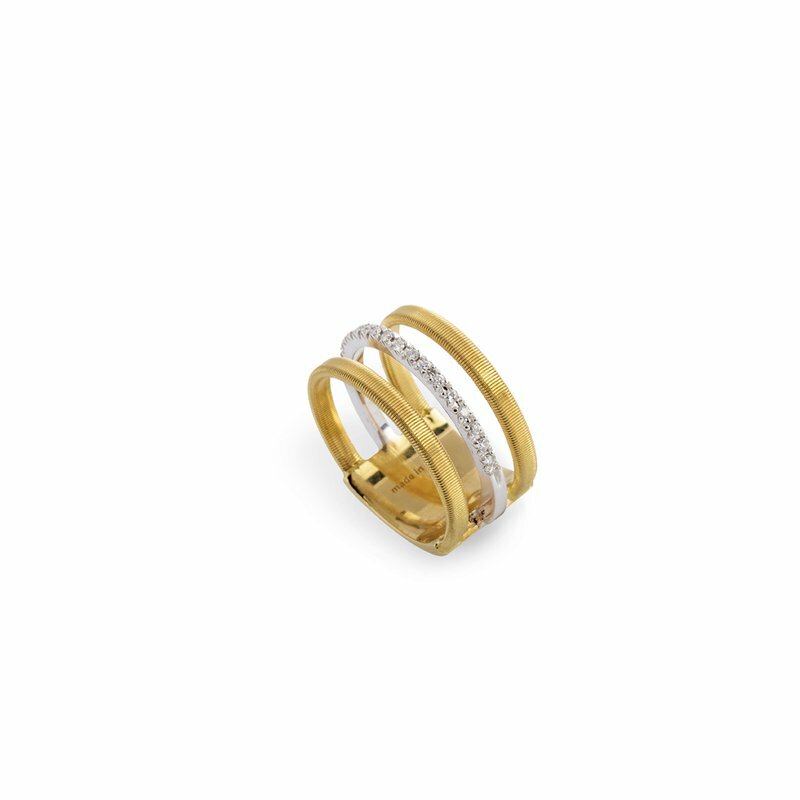 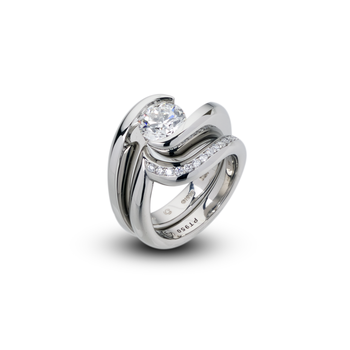 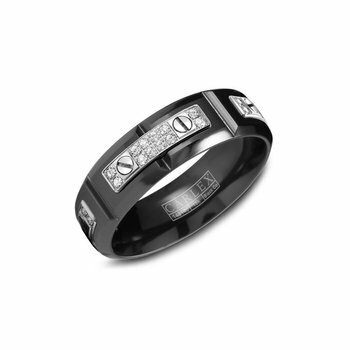 This style gives the illusion of stacked rings in one beautifully stylized piece. 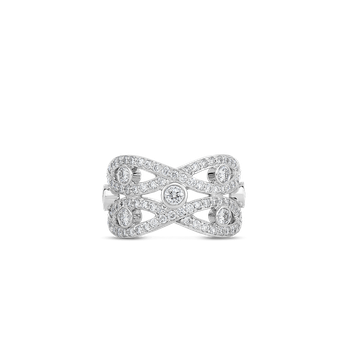 Total diamond weight: 0.13 ct.